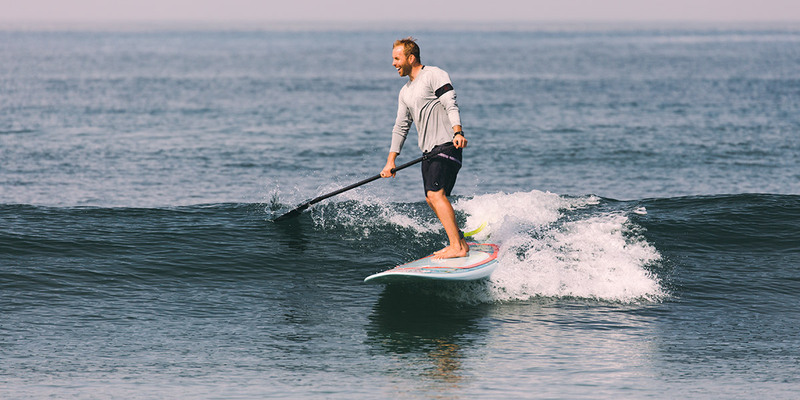 How to choose a stand up paddle board comes down to your lifestyle, what you plan to use it for, and your budget. If you’re not 100% sure what you will be using your SUP for, we can help you figure this out in the next 5 minutes. We assure you that shopping for your ideal SUP can be simple and fun! 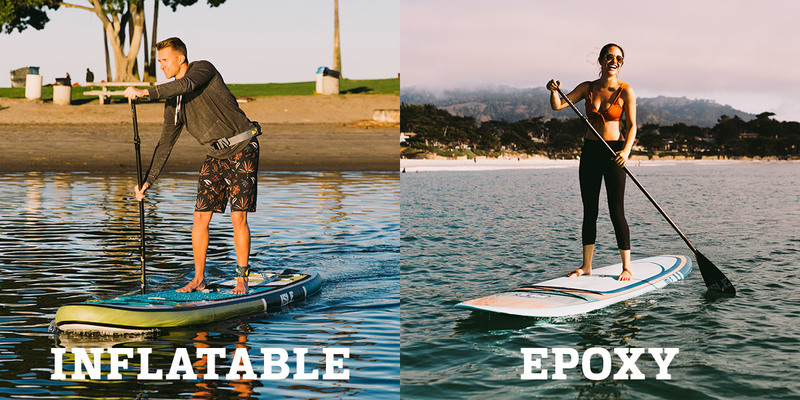 In order to find your ideal paddle board, it’s important to know the difference between each type. Be advised that there can be some crossover, as most people will use their paddleboards for multiple types (i.e. surf/recreational/touring/racing). 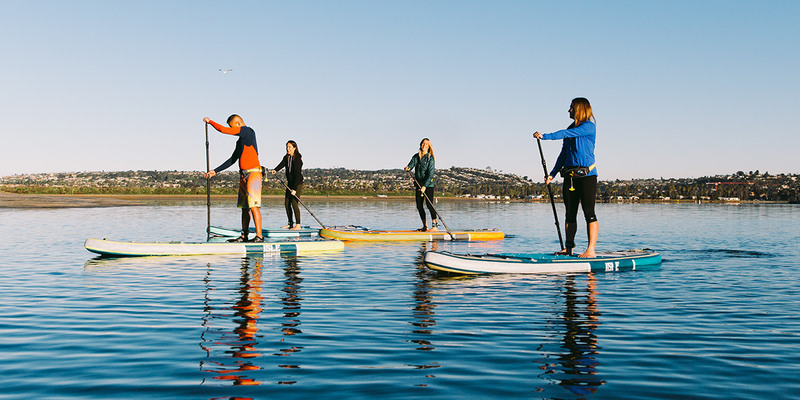 Below, you’ll find the four most common types of SUP boards on the market. 2. What Size Paddle Board Do You Need? The answer to this question will be based on your weight and paddle boarding experience. Think of your ideal board size in terms of volume. The wider, longer and thicker the board, the more volume and weight capacity it will have. In fact, the more volume the board has, the more stable it will be on the water. Beginner paddlers will usually want a board with more volume as well as thickness because this provides additional stability and can support more weight. As your skill, balance and strength improves, you can downsize to a board with less volume. By then, your older board will be great for friends and family to use! 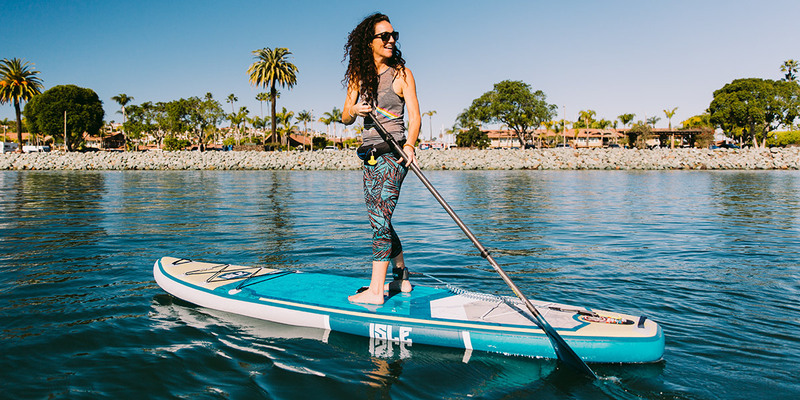 Check out our SUP SIZE & WEIGHT CHART to find out what size paddle board is best for you. Planing Hull – A planing hull is when the bottom of the board slightly tapers off towards the edges (like the bottom of a boat). This makes it a great choice for casual paddling as well as surfing due to the designs added maneuverability and stability. Displacement Hull – A displacement hull has a sharp pointed nose which displaces the water to either side, making it the perfect choice for paddlers who want to cover long distances. The sharper nose allows the hull to slice through water and gives the rider a fast and smooth ride. Most touring boards are designed with a displacement hull, allowing the rider to travel longer distances with ease. Once you’ve figured out the type and size of SUP you want, it’s time to decide if you want an inflatable SUP or an epoxy paddle board. 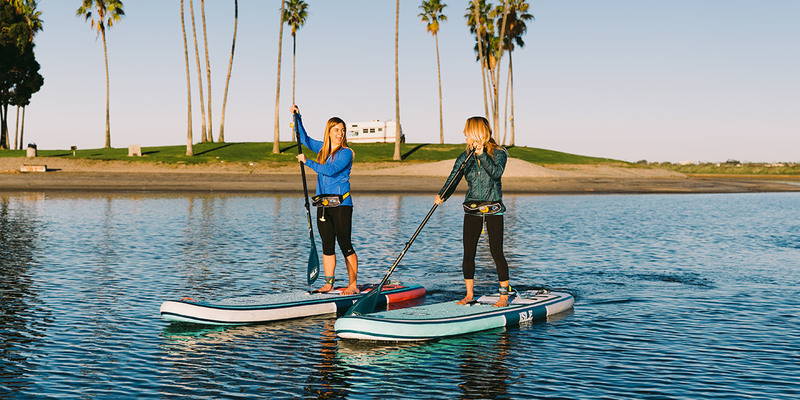 There are many differences between inflatable and epoxy paddle boards. 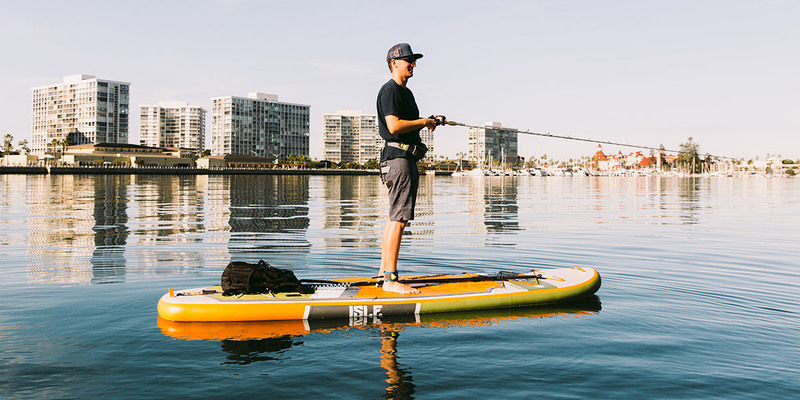 When determining whether an inflatable or epoxy SUP is right for you, it really depends on your budget and storage/transportation options. 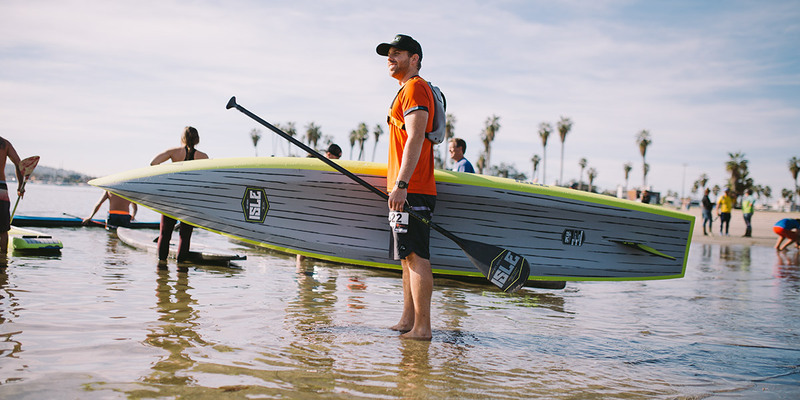 For a first time paddler, an inflatable board is ideal and works great in all conditions. If you plan to travel a lot with your SUP, an inflatable will be the best choice as it’s easy to take wherever your adventure takes you. When it comes down to performance, epoxy boards surpass inflatables – for now, at least.. If you’re a serious paddler and looking for increased maneuverability, speed and glide then an epoxy board might be right for you. Inflatables are effortless to transport compared to epoxy and hard boards when it comes to transportation. Inflatable paddle boards deflate and roll up to the size of a sleeping bag. Epoxy SUPs are a little more cumbersome and usually require a large vehicle or rack and straps for your car. Inflatables are perfect for people short on space, because regardless of the size board you have, you’ll be able deflate it and store practically anywhere. Epoxy boards aren’t difficult to store. You just need to have enough space for a 9+ foot SUP. It’s recommended to stow an epoxy SUP in a paddle board bag as it will aide in preventing scratches, dings and other disasters. Keep epoxy and inflatable paddle board boards out of direct sunlight because it can cause epoxy SUPs to de-laminate and could potentially bust the seams of your inflatable. To learn more, use our guide breaking down the difference between inflatables and epoxy paddle boards. 4. Where Will You Store Your Paddle Board? A big concern a lot of people have before buying a SUP is where they will store it at their house. To keep your board in great condition and increase its lifespan, you’ll want to minimize its exposure to the elements when not in use. Regardless of the type of climate where you live, it is highly recommended that you keep your stand up paddle board indoors when not in use. Regardless of what type of board you have, the key is to keep your SUP in a cool dark location where it is safe and protected. 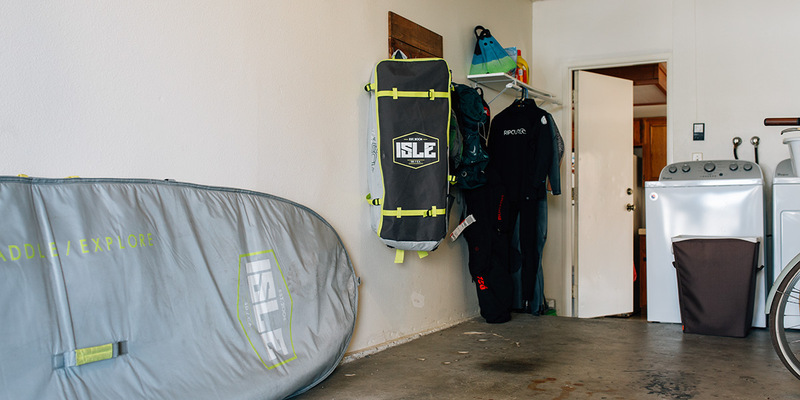 Here are some tips for storing your paddle board. 5. On Average, How Much Do SUPs Cost? The biggest concern for most people is the price of the board. You don’t want a super expensive board, but you also don’t want buy a cheap board just to save money. It’s important to do your research to compare boards and companies. Often cheaper boards sacrifice quality, materials, and design to achieve their lower price. Be weary, the board may not last as long as a ones constructed with higher quality materials. 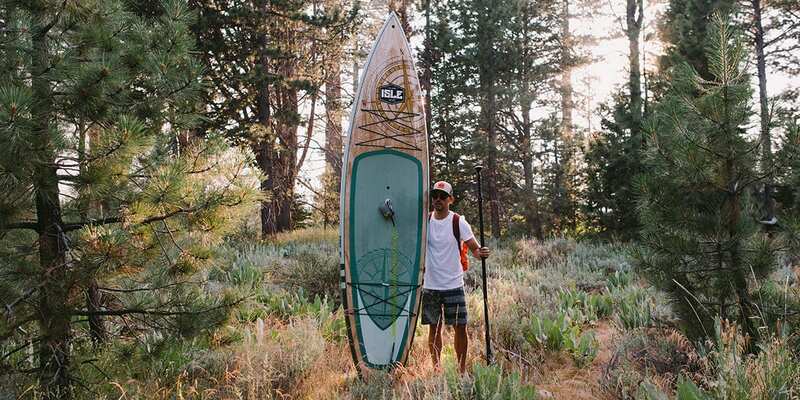 If you’re looking for a great deal on a well-made SUP but on a budget, check out our closeout models for incredible prices. High quality, great performance, artistically designed and moderately priced. There’s not much more you can want from a paddle board. 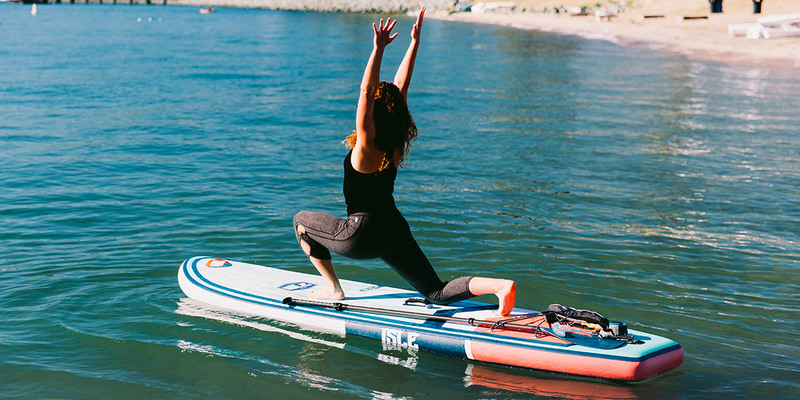 This is what we like to consider the sweet spot when it comes to paddle boards. Most of ISLE’s SUPs fall within this price range. Additionally, we have many high performance boards, without the high performance cost. 6. Where can you get the best SUP value? With plenty of stand up paddle board companies to choose from, it can seem overwhelming to find the perfect one. The key is to look beyond the marketing and pull back the layers to see exactly what each company offers. The major things to consider when choosing a company is the price of the board(s), the guarantee and the customer service, since it’s usually a direct reflection of the company. 7. Why Get Your SUP From ISLE? Manufacturer Direct: We only sell direct to our customers. In other words, we do not sell to retailers where the boards are marked up even more – we cut out the middle man so you can save money and get better service. FREE Shipping: We offer free shipping (to the lower 48 states) straight to your door on all boards because shipping should be the last thing on your mind when browsing for boards. Board Purchase Guarantee: Purchasing a stand up paddle board is an investment, and the last thing you want is to be stuck with a board that you don’t absolutely love. For that reason you should have reassurance that you are getting the right board specifically for you. At ISLE we understand that this is a big decision, and that’s why we extend a board purchase guarantee. 60 Day Ride It & Love It Guarantee: We want to make sure you are happy with your board choice. Try it for 60 days and if you don’t 100% love your board, you can always send it back and get all your money refunded with a 20% restocking fee per item. Customer Service: Customer service should come first for every company because it reflects your entire business and how you value your past and potential customers. At ISLE, customer service is our number #1 priority and we’ve built our brand around it. 5,000+ five-star reviews. With a 3,000+ perfect reviews, no one has a better service record than we do. 98% referrals. Practically every past customer had an amazing experience and would refer us to their family and friends. 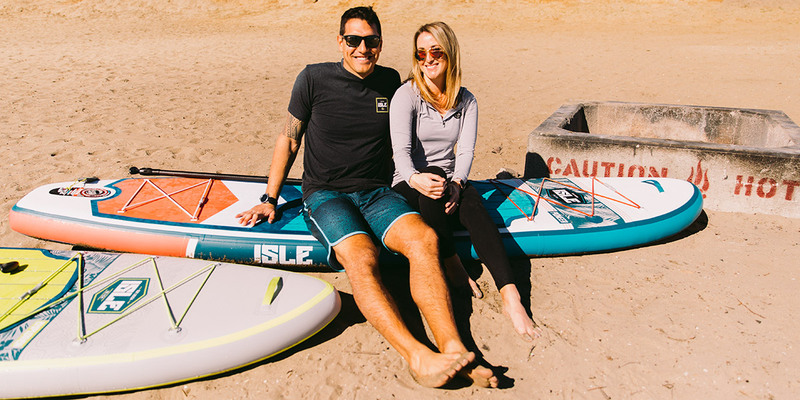 At ISLE Surf & SUP, our only job is to make sure you find that perfect board(s) and our outstanding track record over the past 13 years demonstrates just how committed we are! Please feel free to call or email us regarding any questions or guidance you need.